A very well researched and documented account of the story and exploits of Royal Air Force 602 "City of Glasgow" Squadron. They became a famous Spitfire Squadron during the Battle of Britain and many of its pilots went on to have highly distinguished careers. 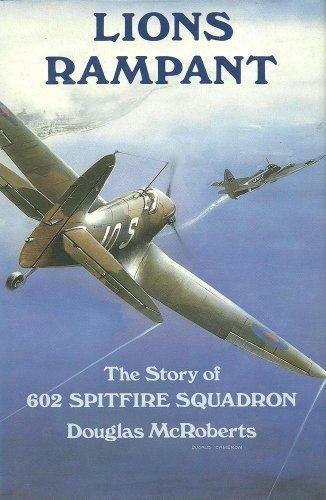 The forward is written by Air Vice Marshal Sandy Johnstone, himself a commander of the squadron during 1940. This Special 1st Edition has been signed by the author and the following RAF fighter pilots who flew with 602 Squadron during the Battle of Battle, 1940. We have acquired from a private collection this wonderful, rare 1st edition hardback. The book is in very good condition for a book over 30 years old. Overall it is clean and tidy and no rips or tears on internal pages or cover. A highly collectable edition with a rare selection of signatures.